With the holiday season upon us, it’s important to keep focused on healthy eating habits despite the multitude of temptations. Adhering to a healthy diet can be especially tricky at this time of year. Holiday festivities traditionally revolve around food and the pressure to overindulge can be a real issue for those watching the scale. Between holiday parties at the office, gatherings at the houses of friends and family, and even your own kitchen, it isn’t hard to understand why statistically Americans gain 1-10 pounds each year during the holiday months from Thanksgiving through Valentines Day. To avoid packing on the pounds during this festive time of year, it’s imperative to make wise food choices. That doesn’t mean denying yourself the pleasures of the food around you, but is does mean using discretion when making your food choices. Portion control is the name of the game. For those “must have” holiday favorites, select smaller portion sizes to limit your caloric intake without feeling deprived. Resist the unconscious urge to taste everything that is set before you. Rather than filling your plate with piles upon piles of food, dish out appetizer-sized servings. If you are going to a holiday party, do not go on an empty stomach. Instead, eat something light and drink plenty of water before going. The less hungry you are to start, the less likely you are to overeat. In addition, limit your alcohol consumption at such events. Besides being calorie-packed, alcohol can make you lose your inhibitions and eat more than you originally intend to. Instead of baking your famous holiday cookies for friends and family, make holiday crafts. Homemade candles, holiday ornaments, herbal tea sets, and decorative gift baskets are just as festive minus the temptations to over indulge in your own goodies. When the weather turns cold, the temptation is to keep the chill away by turning to warm and typically carbohydrate-loaded “comfort foods.” Throw on your fuzzy socks, turn on the fire place, and stick with your normal eating routine. Don’t use the chilly weather as an excuse to forgo physical activity, but rather as an opportunity to go ice skating, skiing, or snowboarding. Outdoor power walking is actually invigorating this time of year, as outdoor activities warm you up quickly without the oppressive heat of the summer. This is also a great time to take advantage of the great specials at your local gym. Take a “hot yoga” class or treat yourself to 20 minutes in the steam room or sauna (after your 30 minutes on the elliptical, of course). Above all else, remember that the holidays are really about family and friends, not food. Keep your focus on the real meaning of this season and enjoy! 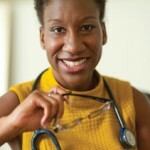 Dr. Everett’s office is located at 1284 Gap Newport Pike in Avondale, PA, across from the Lowes. 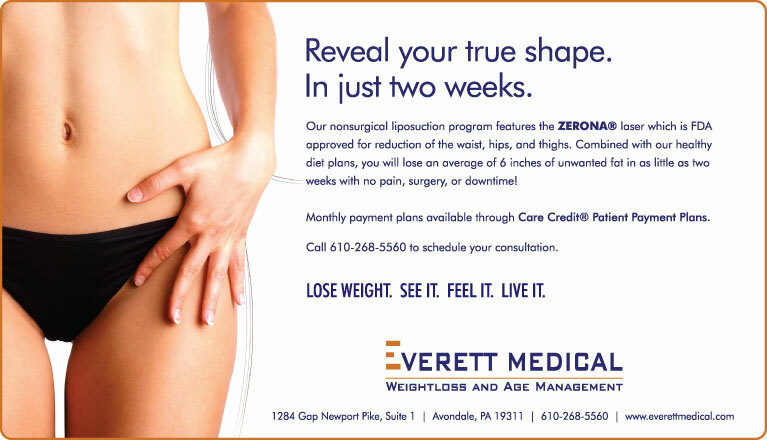 For more information, visit her on the web at www.everettmedical.com or call 610-268-5560 to schedule a consultation. ← Previous Story Attn: Type 2 Diabetes Drug Users! Next Story → Your Path To Vitality And Great Health…Are you eating life-giving foods?